A few years back, a client asked me to create favors for her husband Matthew's 30th birthday party. 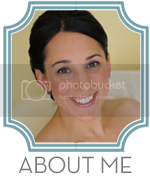 Her husband is a physician with many hobbies but the medical side of him stands out the most. So, we decided to work off of that theme. I packaged jelly beans in old fashioned amber medicine bottles. I filled some bottles with blue jelly beans and others with white ones. My thought was to use a single color in each bottle so that it would look more like pills. 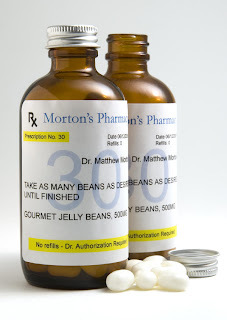 I created custom labels and included Matthew's birthday as the date of the prescription. Prescription instructions were also included: "take as many beans as desired until finished." Have you used every day packaging to create unique favors or gifts?